A great new twist on the Thai bead sensation. 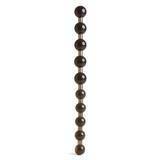 A string of satisfyingly slender beads made from natural-feel material that's soft to touch. 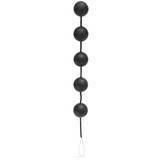 Long and strong, these flexible beads are coated for delectable sensations. 1.5 inches in diameter at it's widest, around half that at it's narrowest.